M-Workz Many people may not know the M-Workz name, but I am pretty sure you have seen their cars. 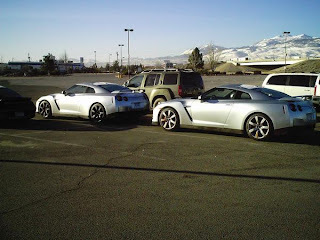 A red 350Z that runs in Time Attack , and the cleanest Gunmetal R32 GT-R in the US. 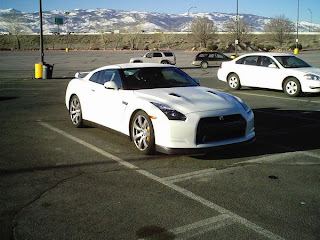 Steve worked for years at Nissan North America, and I met him when he purchased his R32 GT-R from Motorex. The M-Workz R32 GT-R makes 535 wheel hp. 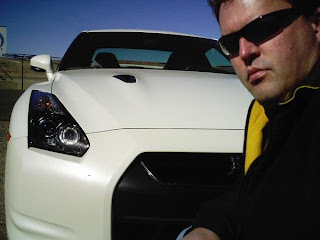 Steve wrote me an email about the R35 GT-R, "X$%&ing thing is WAY fast. Didn't drive it, but it was impressive to watch. ", I would have a tendency to trust what he says,he knows what a fast car is.